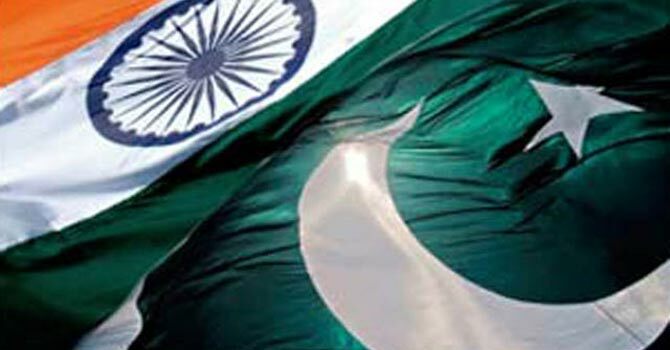 LAHORE: A 12-member World Bank (WB) mission Monday got briefing on Pak-India trade through land route during a visit to the Lahore Chamber of Commerce and Industry. The WB team headed by South Asia Regional Integration (SARI) Senior Operations Officer Ms Diep Nguyen-van Houtte spent well over an hour at LCCI to gather views of LCCI members about facilities at Wagah. Ms Houtte said that the information given by the chamber would help the WB finalise a trade facilitation policy between India and Pakistan. She said that the proposals and suggestions would help a lot in early development of much needed infrastructure at the crossing points between Pakistan and India. The LCCI Senior Vice President Irfan Iqbal Sheikh presented the address of welcome while former senior vice president Sohail Lashari, former vice presidents Aftab Ahmad Vohra, Shafqat Saeed Piracha, Saeeda Nazar, executive committee member Mian Zahid Javed and former executive committee member Rehmatullah Javed also spoke on the occasion. Sheikh said that Pakistan and India are the two countries in the region which can play a very important role in the economic development and trade in this area. The government of Pakistan is very keen to have strong trade ties with its neighbors especially with India. He said that a platform should be created which should facilitate the businessmen on both sides as this would help improve the trade flows between both the countries. Sheikh said that private donors should support the cause so that infrastructure should be developed in order to ease the trade activity via borders. He said that the current facilities available for trade through land route needs to be expanded on both sides of the border and electronic data exchange should be introduced on both sides. Since expanding trade requires more specialised logistic services. Large logistic service providers with the requisite expertise particularly from the private sector should be encouraged to provide these services. The LCCI senior vice president said that testing facilities should be made available at the border. There is a lack of awareness on each other�s regulatory regimes particularly in pharmaceutical products. Mutual recognition agreements should be signed. Officers need to be better sensitised on the trading regimes between the two countries to reduce unpredictability and poor implementation of laws on borders which impair trade environment. They said implementation of new visa policy should be done at the earliest and further liberalisation of visas should be undertaken by both countries to improve business to business and people to people contact.